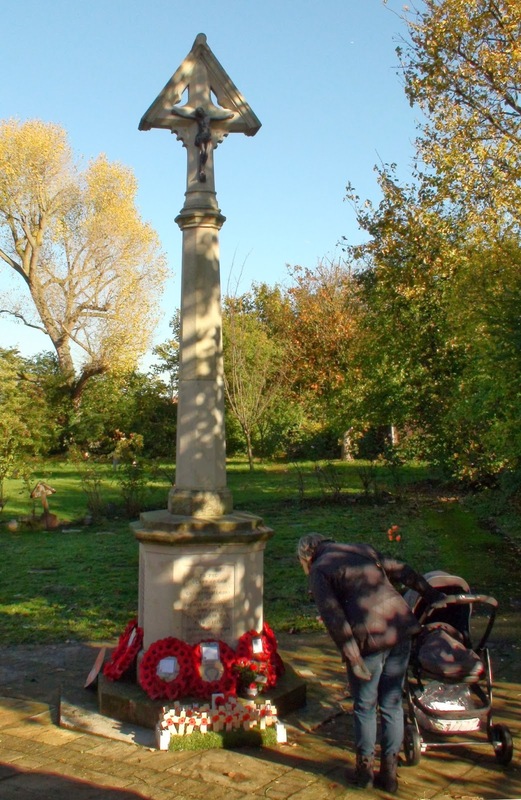 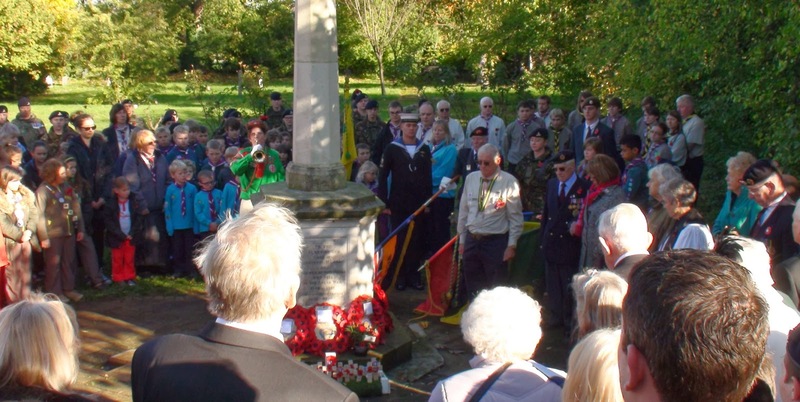 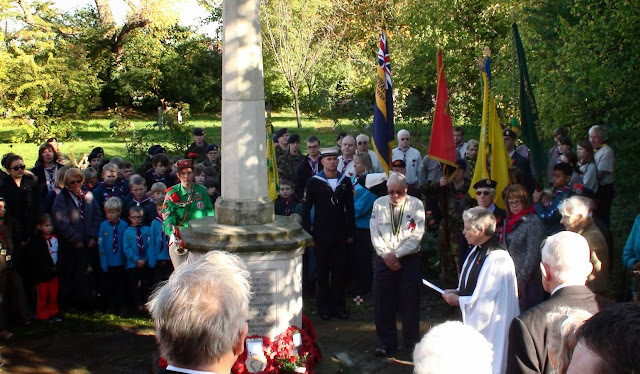 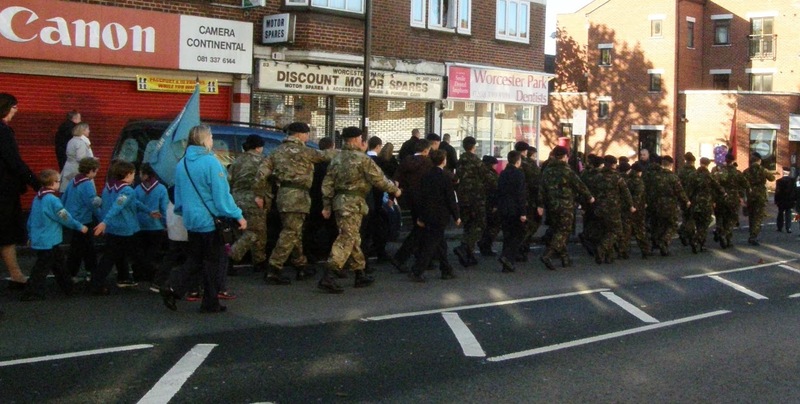 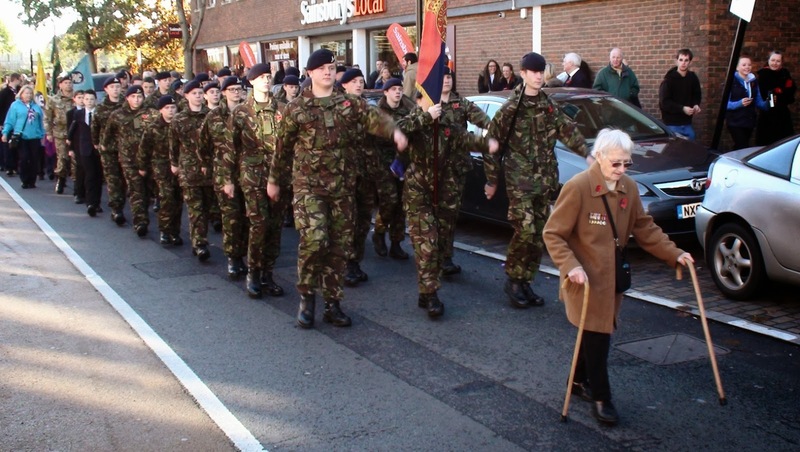 Many people turned out this morning to mark Remembrance Sunday in Worcester Park. The official service was taken by the Reverend Charlotte Elvey at Christchurch with St Philip's at 10am. 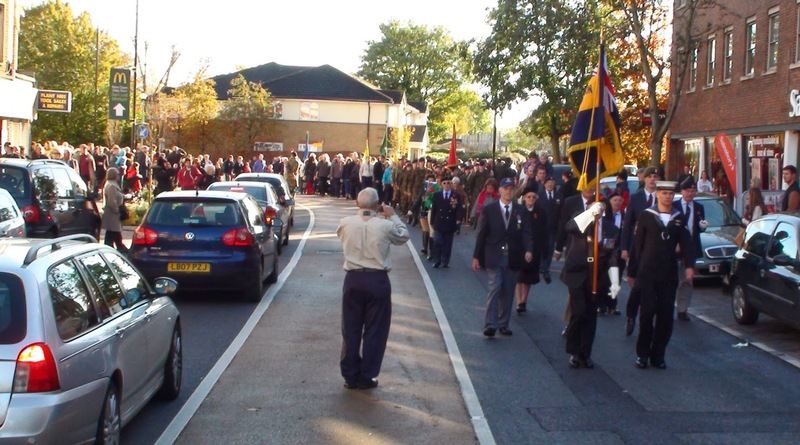 By the time people were leaving the church at around 10:45 there was already a large crowd at the war memorial waiting for the 11 o'clock ceremony there. 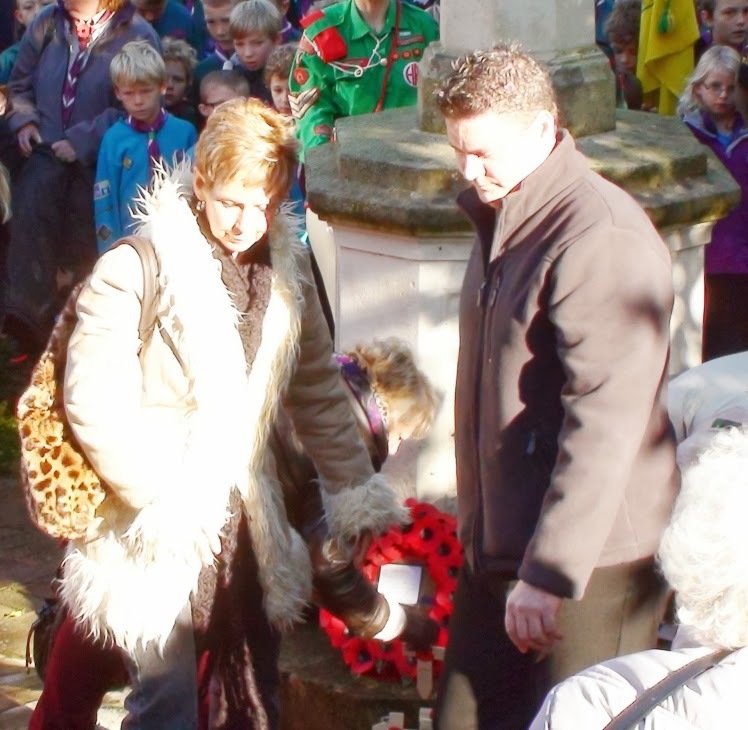 Wreaths were laid and at 11am everyone respectfully observed the two minutes silence with only a few small noises from a couple of children in the crowd. 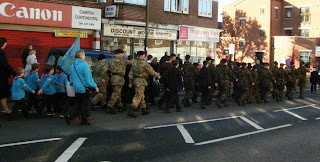 This was followed by a parade down Central Road to Windsor Road. Decorated war veterans, members of the Royal British Legion, Cadets, Guiding and Scouting groups all took part in the procession. 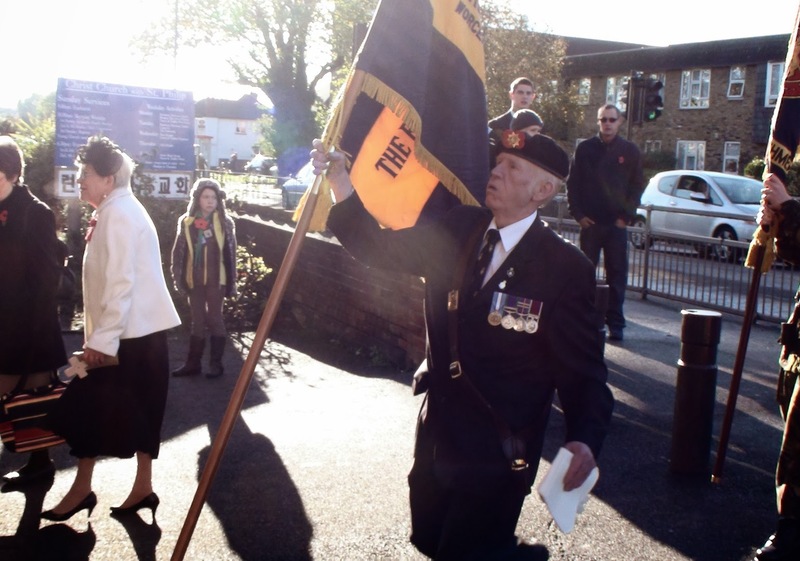 Afterwards many people enjoyed sandwiches, snacks and a drink or two at the Royal British Leigion which was open to the everyone.